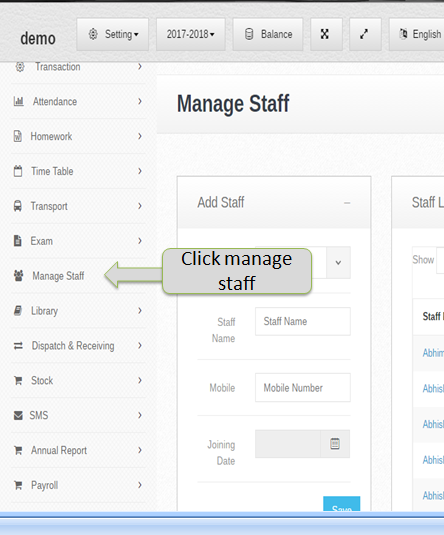 step:-1 In Staff management system Add staff please select a manage staff option & fill all information about staff. School support staff play an important role in ensuring students are learning in a safe and supportive learning environment. They can foster positive, trusting relationships with students and improve school climate by encouraging parent and family involvement in education. 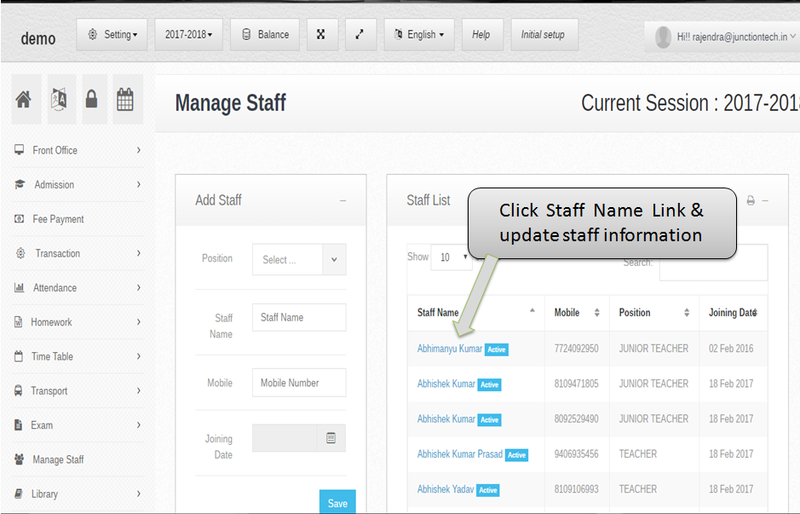 step:-3 Staff management system listing all staff then you have to search any staff information please enter staff name in search box and staff detail showing . 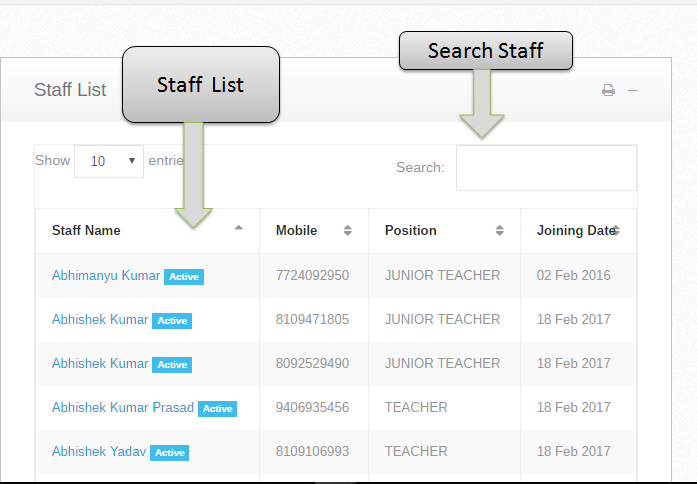 step:-4 Click staff name link & open new window form and add staff new information. step:-5 Add staff new information. 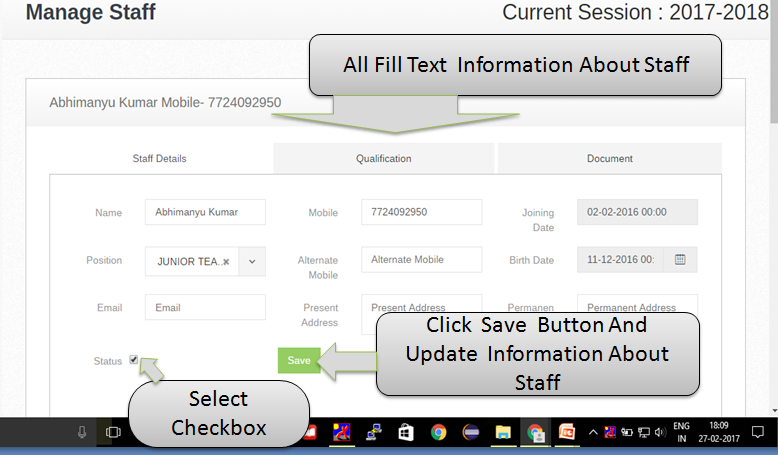 like qualification ,document upload and select status checkbox then click save button and update staff information and new staff document successfully save . 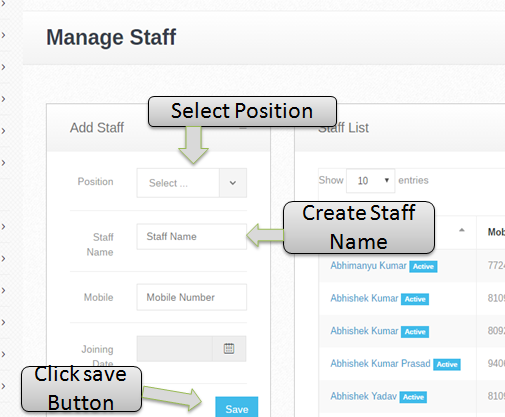 step:-6 Create staff username and password in Staff management system . 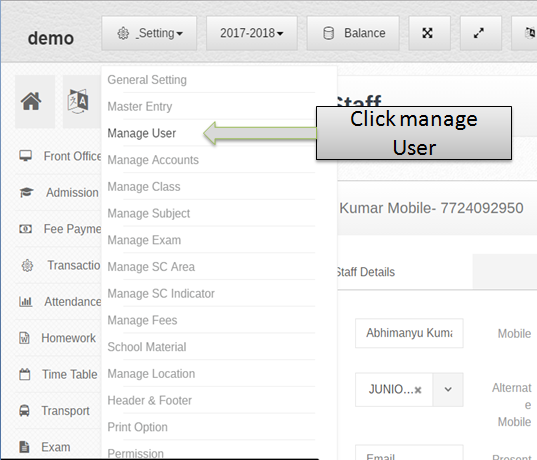 now click on setting button and select manage user option . now we have to registered staff username and password form open & enter all input type value and save. 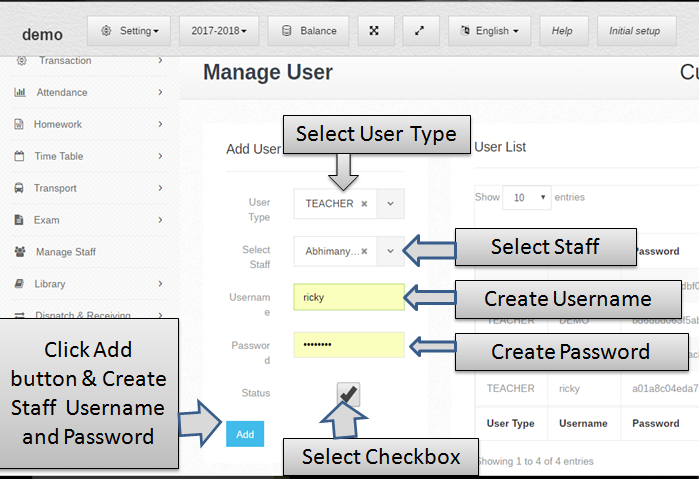 step:-7 Select user type , staff, and enter staff username and create staff password then select status checkbox now click add button and save staff username and password . staff username and password is staff schoolerp login user_id and password . 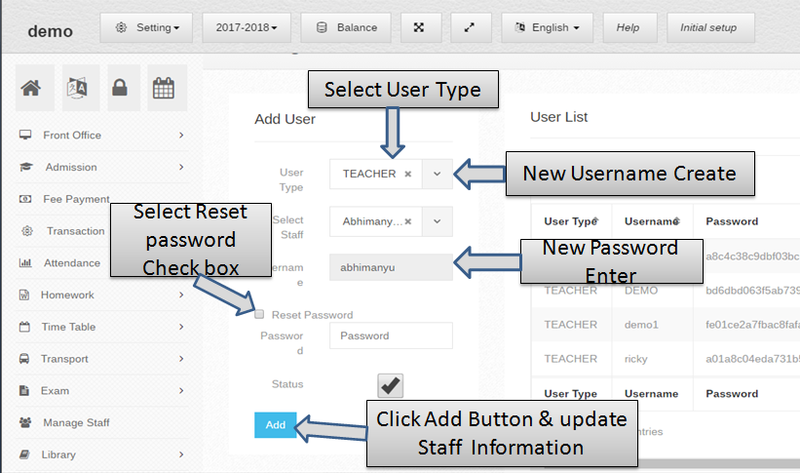 staff login in schoolerp for example teacher login in schoolerp . so teacher created student result and put on student attendance etc . step:-8 Staff username & password created successfully and listing all username & password if in case search user type and name in staff listing click search box and put username and name etc . in case change user type , staff name , and password now click edit button and open update form . step:-9 Now you have to change staff usertype then select new usertype and change staff password now click reset checkbox button create new staff password now click add button and update all changes behalf on staff .